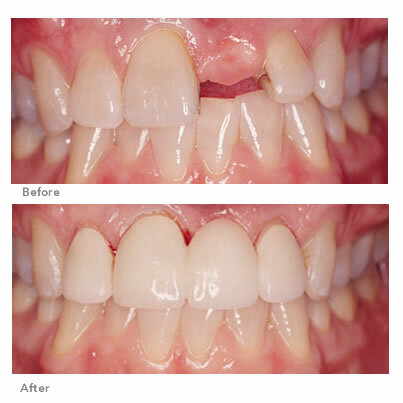 Dental Bridges are an option to restore gaps in the teeth to give a totally natural smile. A Dental Bridge is a false tooth crafted often from porcelain, that is connected to one or more adjacent teeth. A dental bridge may have implants or a natural tooth on either side. The tooth itself is not actually attached to your bone like an implant, but sits neatly to fill the gap in your mouth. At Bawtry Dental Aesthetic & Implant Clinic we are highly skilled in creating a finish that you will love. We understand that each patient may have different needs regarding Crowns, Implants or Bridges, or a combination of all dental solutions. A dental bridge needs to be fitted correctly, to give the appearance it is just sitting neatly on the gum and looks like the surrounding teeth. Dr Khaliq will discuss the best options available to achieve the best results and create the look you desire. Due to the nature of teeth, the way they sit and the structure of your mouth, a number of options are available to us regarding bridges. Conventional Fixed- Fixed Dental Bridge – A false tooth is placed between two crowns in the tooth usually to replace one or two gaps in teeth. Cantilever Bridge – Where the false tooth is supported by adjacent teeth on one side only. Resin Bonded – The false tooth is bonded to a metal or ceramic “wing” structure, usually used on front teeth and requires less preparation of surrounding teeth. Implant supported Bridge – The bridge is usually supported by two dental implants on either side. ADVICE – Bridges are very successful when replacing few teeth. For further information on Bridges and to book your appointment contact us now.